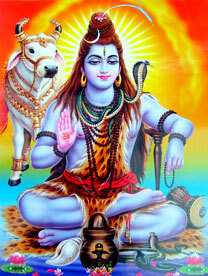 Enlightens the super consciousness changes specific to renunciation from worldly affairs. 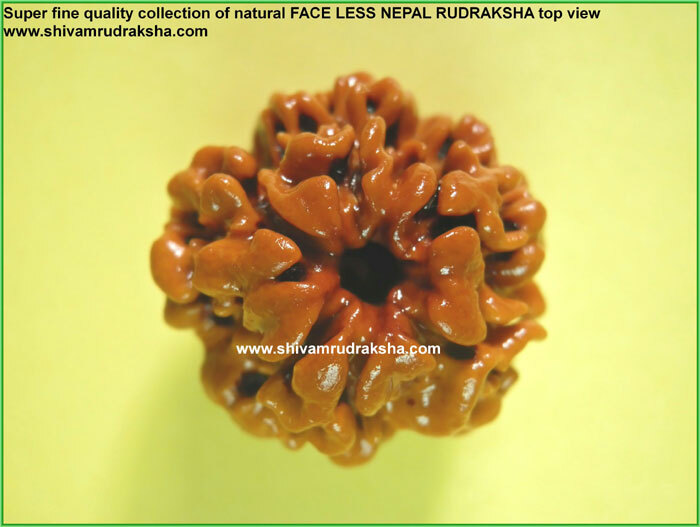 Face Less Rudraksha is symbol of Shiva. 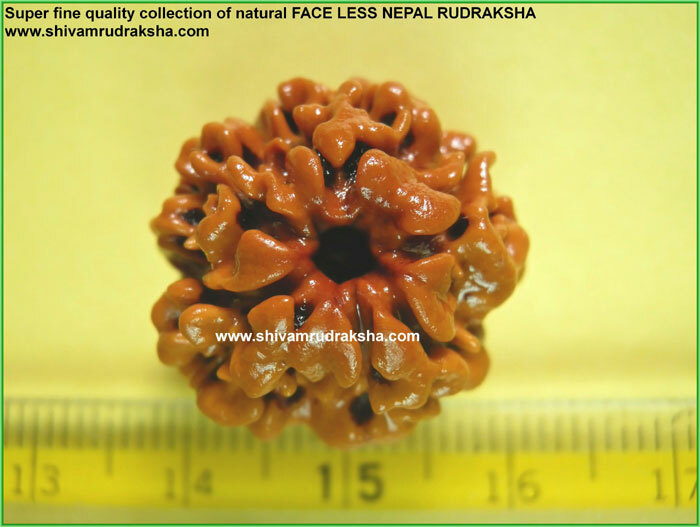 Only few trees of rudraksha can produce face less rudraksha. 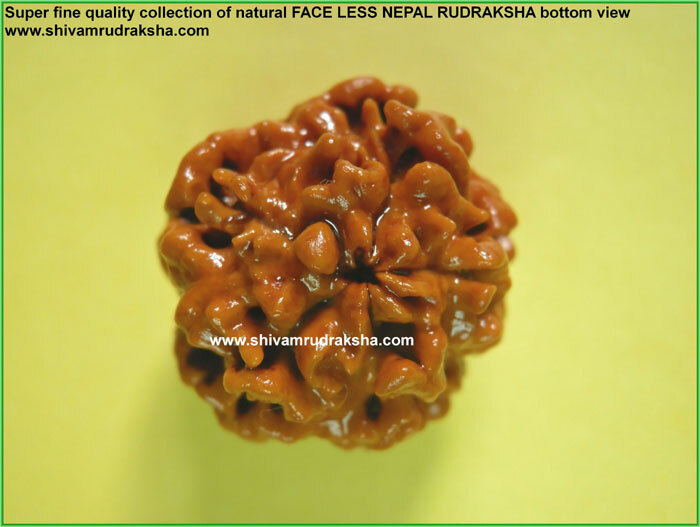 One of the treasures of Pashupatinath temple is Face Less Rudraksha, which is well preserved, and devotee get chance to see it once in a year. 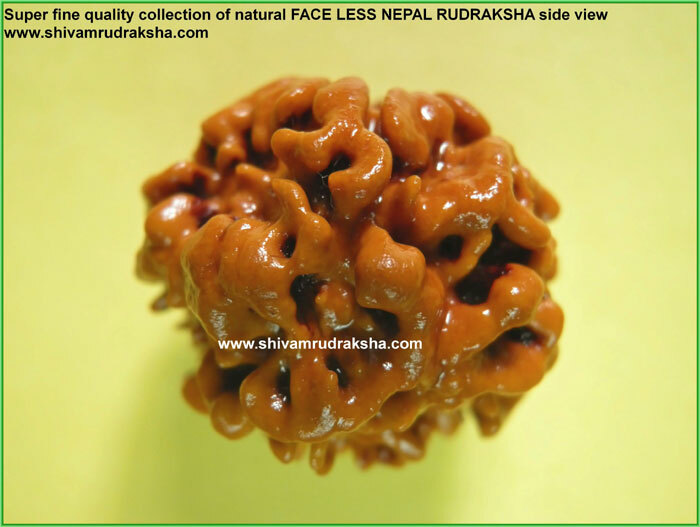 It is said that owner of Face Less Rudrakshaenjoy all kinds of worldly pleasures. It is very auspicious valuable and rate it is enought if one can see it once. 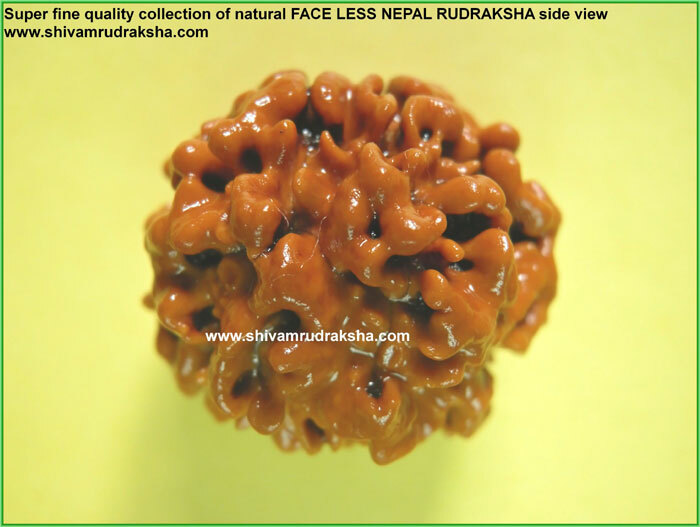 Face less rudraksha has all types rudraksha powers in it 1 to 21 mukhi , trijuthi rudraksha , gouri shankar rudraksha , ganesh rudraksha , garb gouri rudraksha and savar rudraksha you can feel powers of all together of this rudraksha in this face less rudraksha.